North Valley High School after 16 years of service. 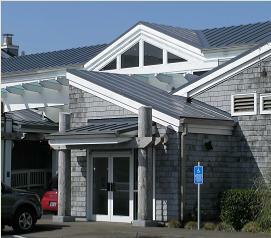 Independent, professional consulting services related to roofing systems and building envelopes since 1987. With roofing and sheet metal careers beginning in the 70's several of Schabers staff members have seen many roofers and roofing products come and go. With this kind of experience you'll be teaming up with consultants whose advice will stand the test of time. 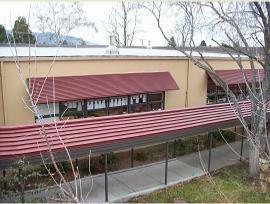 We are proud of the fact that the roofs that we specified in 1987 are still in place. We've completed hundreds of successful projects as far north as Alaska, east to Nebraska, and as far South as Texas. We've solved snow damage problems in Sun Valley and other alpine climates and prevented wind losses from Cresent City to Kodiak. Maintenance & Bermuda Metal Roof Project. To date no project has been too challenging for the Schaber staff. We've solved problem jobs with a minimum of disruption. With real world experience clients don't get budget surprises or encounter unexpected difficulties. New construction projects finish on time, under budget and without excuses. 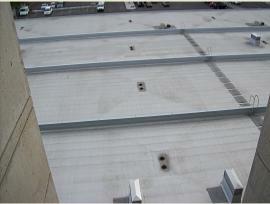 Medford Main Post Office roof renovation after 20 years of service.